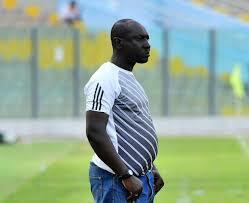 Information available to fillascorner.com indicate that former Aduana Stars Coach Yusif Abubakar will be buried today, Tuesday November 20. Speaking with Kumasi based Fox FM Mohammed Mansuru, son of the late coach disclosed that the burial service for his late father will be held at his residence at TECH Zongo in Kumasi. "My father would be buried today according to Islamic Burial rites, and the events will start at 2 o'clock PM at TECH Zongo in Kumasi"
Mohammed revealed his father fell sick a while ago and passed on. "Yea, he was sick and we took him to hospital, they gave him treatment and we were directed to come home so he comes for periodical checks. His condition worsened this morning and he eventually passed away.